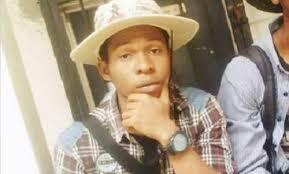 The of University of Ibadan has pardoned Kingsley Anyanwu, a student who was expelled from the varsity for allegedly insulting the Vice Chancellor, Idowu Olayinka, on Facebook. Anyanwu, a 100 level student, made a post on the school’s Students’ Union Page on Facebook. The post was considered insulting to the person and office of the Vice Chancellor. During the 2016/2017 session, Anyanwu was then ordered before the school’s disciplinary committee, which expelled him from school for lacking in character. Although the student apologized and brought down the Facebook post, he was still punished for said offence. However, management has pardoned him and asked him to resume next academic session. According to a statement by Saanu Sunday, the Media Assistant of the Bice Chancellor, the V'sC intervention on behalf of the young man led to the pardon. "A 100 level student of University of Ibadan (UI), Geology Department, during the 2015/16 academic session , Kingsley Chinemerem Anyanwu who embarrassed the university and called the Vice Chancellor, Prof. Abel Idowu Olayinka various unprintable names on social media and subsequently expelled by the institution has been forgiven and allowed to resume his studies," a part of the statement read. “Anyanwu was expelled during the 2016/17 session for gross misconduct after facing Student Disciplinary Committee and found guilty. “However, following a contrition on the part of the student, the VC graciously forwarded his case to the Council for reconsideration and forgiveness where Anyanwu was told to go and sin no more. He has since been allowed to resume his studies with effect from the beginning of this current 2017/18 academic session . He also quoted the VC as saying: “We are in loco parentis expected to process them for the ultimate use of the society. A 100 level student is still raw and green. We take some of these insult and embarrassment in our stride in order to ensure that they have a rosy future. “But we will not hesitate to wield a big stick for anyone considered to be incorrigible because the certificate going out from UI must be based on sound character and learning "
The VC warned that the leniency of his administration should not embolden any student to be rude, pointing out that a 400 level student in Anyanwu's situation may not have been so lucky because that is considered a mature level.